Biodegradable, fully synthetic lubricant. 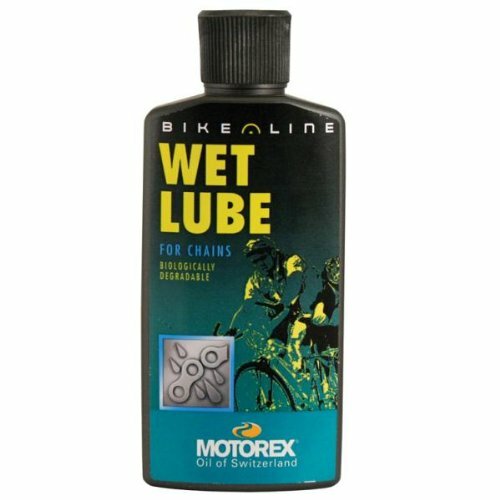 The MOTOREX WET LUBE contains additives that allow it to penetrate quickly and deeply. 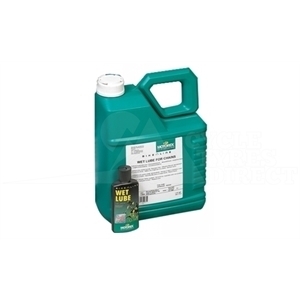 Provides optimum lubrication and outstanding protection against corrosion. Specially developed for riding conditions where the lubricant has to adhere to the chain for extended periods. 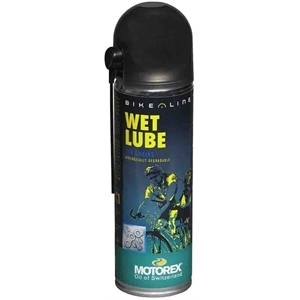 The lubricant is highly water repellent, making it ideal for damp and muddy conditions. Apply product to dry, clean chain while turning pedals. Avoid contact with brakes – the product may impair brake action! Shake well before using.